The Supernova Academy Junior Cricket Bat by Gray Nicolls is a fantastic entry level option for the younger junior. Using Grade 5 English Willow it is suitable for use with a proper hard ball with excellent performance. Ideally suited to the front foot cricketer with it's mid to low blade sweet spot. HAND SELECTED BY OURSELVES AT GRAY NICOLLS! PRE-PREPARED BY GRAY NICOLLS (partially knocked in, oiled, toe guard and anti-scuff cover fitted). Designed to take batting to a new dimension. New Gray Nicolls branding, an unprecedented edge profile and sculpted low blade hitting zone will make the Supernova the talk of any dressing room. Power, style and absolute quality is in abundance from the game's best bat makers. 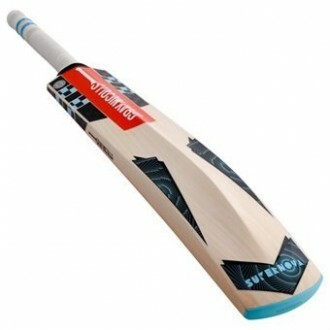 Supernova, the next generation of Gray Nicolls cricket bats. Size: 4,3,2 ,1 and 0.